I know… It’s that time again. It’s time to sell the LS and move onto something new. Don’t get me wrong, I don’t hate the LS and there is absolutely nothing wrong with it – I love the luxury and the power and the good looks, but there’s something about not having a clutch and a sporty feel to the car that makes me feel like I’m missing out on something. Call me crazy but I want a loud exhaust back, I miss sitting in a bucket seat that made it so uncomfortable on the drive to work, I miss changing a shift knob, I miss a damn GT wing… And at the end of the day, I miss being a ricer. The LS is too comfy, too hard to change and too proper (not to mention expensive). The one thing I did love about the LS was that I got to get my feet wet with the VIP scene and understand it a little more and possibly bring a little bit of a different flavour to the scene we are so used to today. I’ve whored the car out enough for you all to know exactly what you would be getting if you were to buy it. 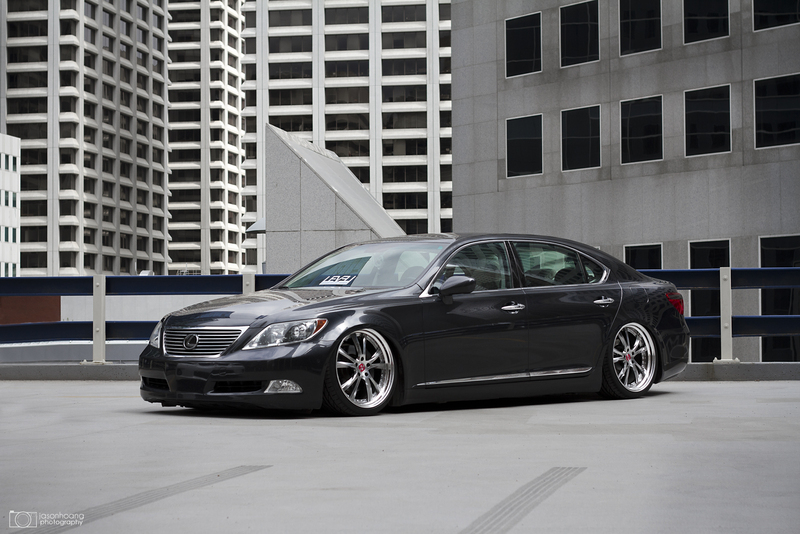 Nothing crazy… So if you know someone looking for an LS460, send them my way! – Full custom air suspension that consists of UAS (Universal Air Suspension) bags mounted on BC Racing coilovers so that you can adjust the ride height/comfort of the ride to your liking. – Full Accuair management system to control the air suspension with the touch of a remote. – Custom air tank set up in the trunk with dual compressors. – All the above was installed at Zero Limit Automotive. – Joe-Z rear axle-back exhaust. $36,500 All in OBO. You will get everything you see plus all stock parts including stock exhaust and stock suspension components.